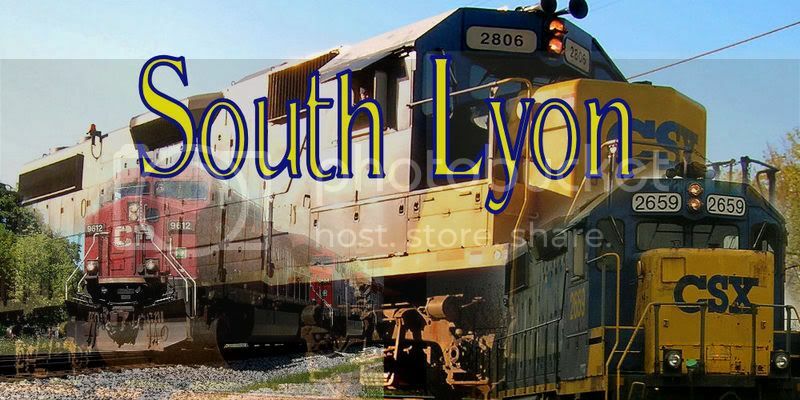 South Lyon is located at CH36.02 (Mile post 36.02) on the CSX Plymouth Sub. South Lyon is a small local community with around 10,000 people. South Lyon in its hey day had the GTW and the Pere Marquette crossing at a 45 with a Witches Hat Depot and a turn of the century mill (both still standing). 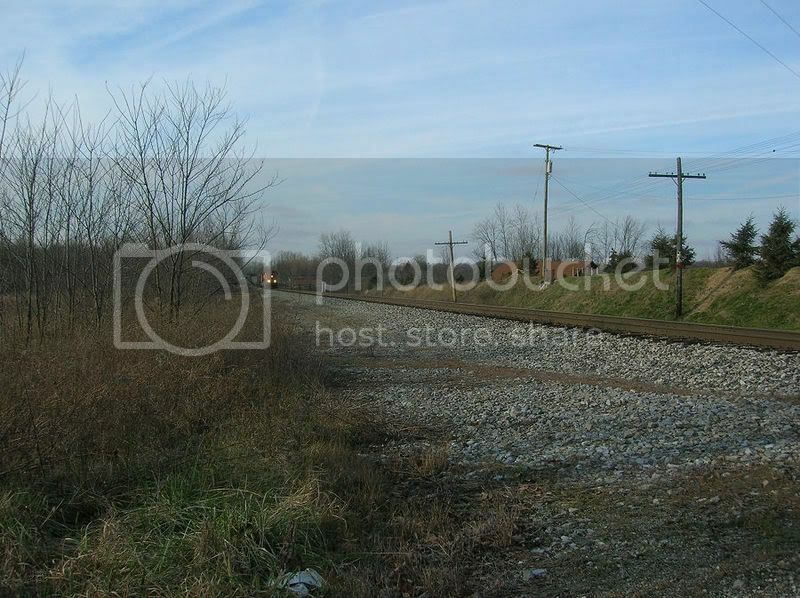 Today in 2007 South Lyon is a 6750 foot Passing Siding, and a 700 foot team track. 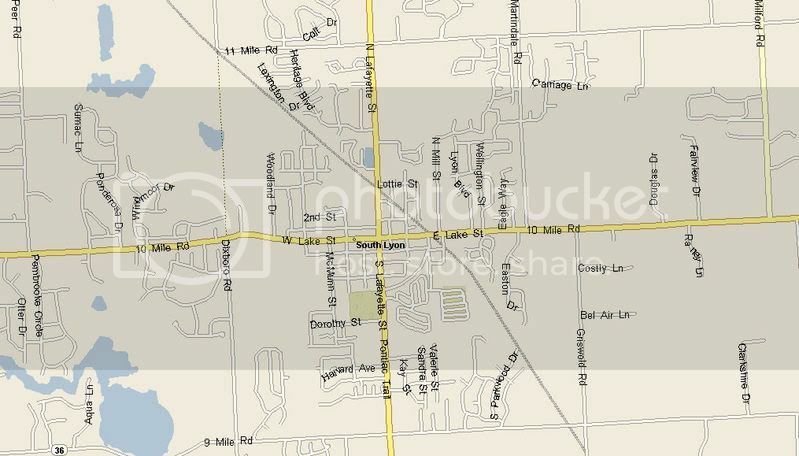 Click the Map Thumbnail to see a map of South Lyon. This has been my first major winter, where I have been able to see at least three trains per week compared to last year where I only saw about 3 trains every three weeks. 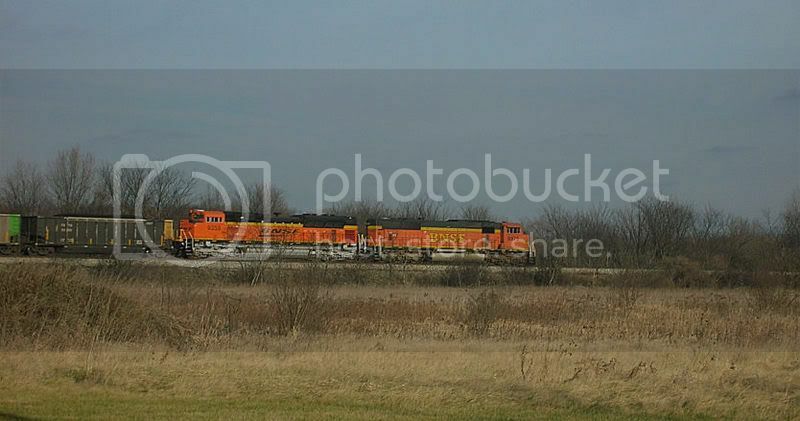 With all the Western Coal, I have been seeing more coal trains with BNSF power, than I have seen General Merchandise! So I figured I'd post my BNSF power shots, after all BNSF is one of my favorite Paint schemes. 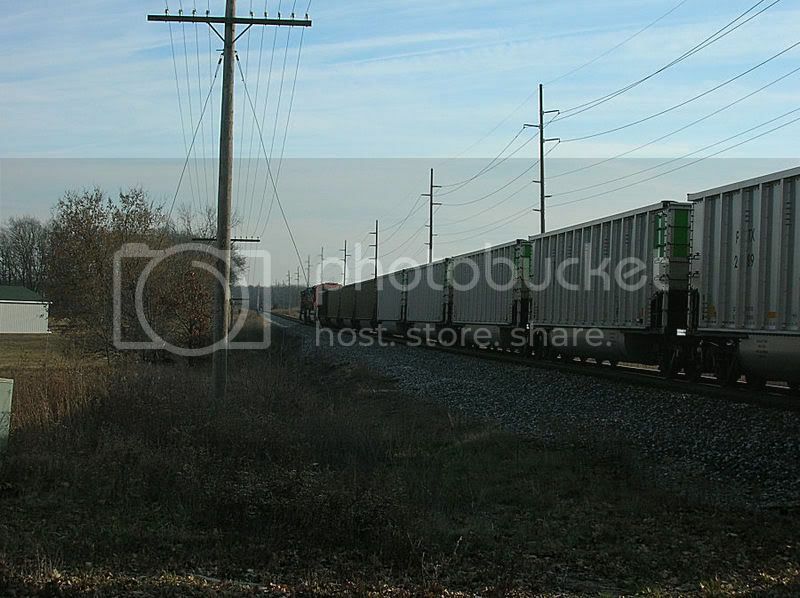 The following dates and links will contain the different Western Coal trains that I have shot in South Lyon. 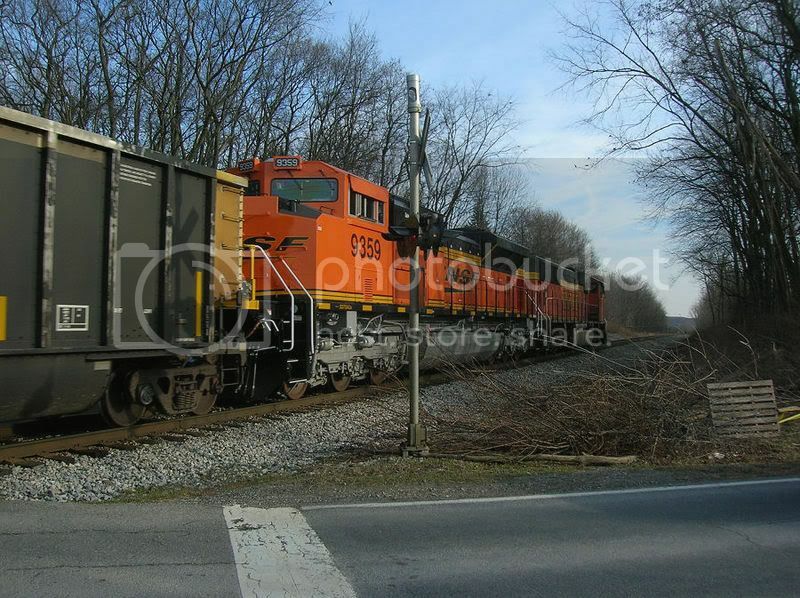 December 18th, 2006 N956-17 I chased N956-17 from 12 mile in Green Oak to Salem. Here are those pictures. 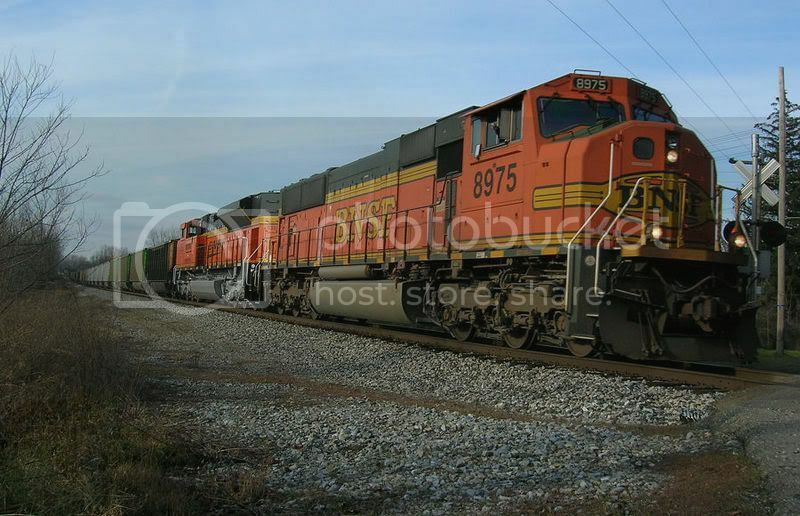 The Train had BNSF 9359 an SD70ACe, and BNSF 8975 a SD70MAC as its power. 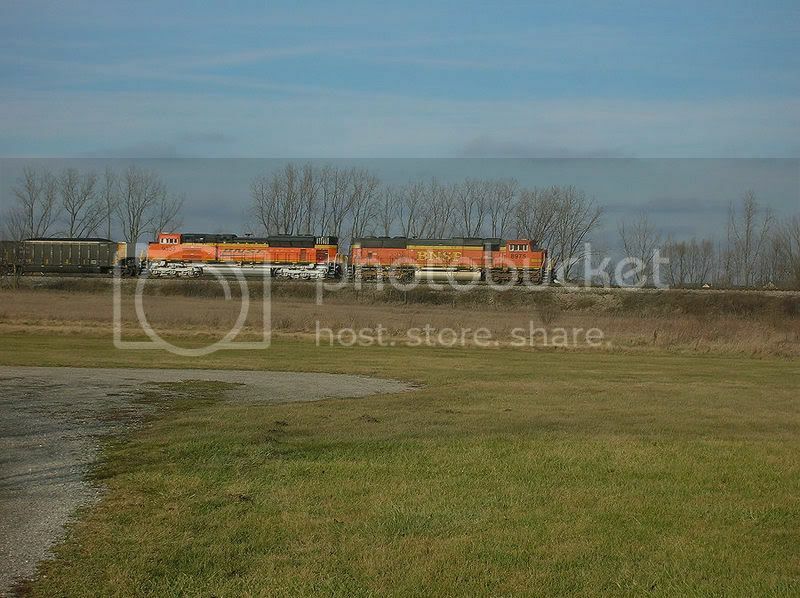 Then down at 5 mile and Naiper, I caught them again across a soccer feild. January 16th, 2007 E945-16 heads back west after an Ice Storm. I was tring to set my manual controls and messed up pretty bad.